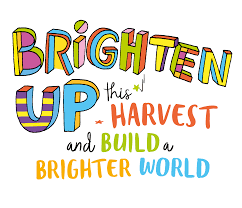 On Friday 7th October, we will take part in CAFOD's Brighten Up this Harvest Campaign - please contribute £1 for CAFOD per family. 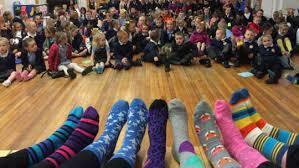 Children can wear brightly coloured mufti non uniform or if they choose to still wear uniform they can have a 'splash of colour such as brightly coloured socks or bright or multi coloured bobbles. We appreciate your support and though this is quite short notice, we are not expecting you to have to go to any great time or expense getting the children ready! The children will do work on the charity event in Friday's assemblies. During this Year of Mercy, Pope Francis has asked us to rediscover the corporal works of mercy, one of which is to feed the hungry. Families in Bolivia face many challenges in growing enough food. It is the poorest country in South America and many Bolivians, especially children, are malnourished. In one remote area, on a high plain called the Altiplano, families have to deal with poor quality soil. The climate is changing and the weather is unpredictable. Sometimes devastating hailstorms or heavy frosts destroy crops. At other times there is not enough rain. These conditions make it incredibly tough to grow food, meaning many families go hungry. That’s why we are asking you to Brighten Up this Harvest – to help build a brighter world and to put into action the corporal work of mercy: feed the hungry. Your fundraising will support communities like Ruben’s in Bolivia to grow enough food for themselves, by providing seeds and training in farming methods and by teaching people how to build greenhouses. 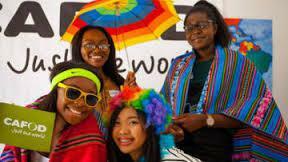 So use the bright colours and vibrancy of Bolivia to organise your own bright fundraiser on or around Harvest Fast Day on Friday 7 October.